Local developer Yohan Lowie is suing city councilman Steve Seroka, in Federal Court. for bias. City of Las Vegas officials are so infatuated with ignoring that the Las Vegas Tribune exists that they have to depend on the daily newspaper to write articles that Las Vegas Tribune had already written about two months before. The hatred that more than half of the city council displays for Las Vegas Tribune is so obvious that they try to ignore every article that appears in our online editions by not commenting on or even rebutting our news articles, hoping that the daily does not print it and the article will go away; but even if it is two months later, the daily refuses to give the Las Vegas Tribune the credit due as every professional publication does. 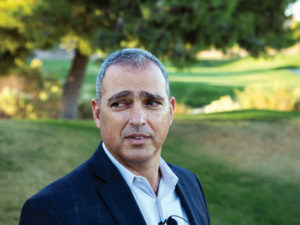 The shuttered course, in the exclusive Queensridge golf course community, has been opposed by a few wealthy neighbors like gaming attorney and former casino owner Jack Binion, and those living in multi-million dollar homes in the elite community and the reason many consider that Council Bob Beers lost his reelection bid for defending the constitutional rights of these neighbors. The article explains that developer Yohan Lowie has sued Seroka in federal court and the battle escalated after Councilman Steve Seroka sponsored a bill directly designed to alter Lowie’s plans to build on his own land. Councilwoman Michele Fiore vehemently objected to the ordinance, publicly in the city council meeting, and at times verbally sparred with the bill’s sponsor, Councilman Seroka, citing that the ordinance started as a 5-page ordinance and FAILED in the Las Vegas Planning Commission by a 5 to 1 vote. Now mysteriously, it has been expanded to a 13-page document and is being considered for approval. Mr. Lowie has hired famed criminal defense lawyer David Chesnoff to represent his interests in possible forthcoming criminal offenses that may arise from this bill. Lowie he may have to confront Mayor Carolyn Goodman who is reluctant to move away from corrupt and antagonistic city council members Bob Coffin, Lois Tarkanian and Seroka himself. Chesnoff was also the law partner of Mayor Goodman, husband and former three-time Mayor Oscar Goodman, who has always been supported and defended by this newspaper, and who was always counted among the friends of the Las Vegas Tribune. Additionally, along with attorney and Lt. Governor Mark Hutchison, the City has been put on notice with an attached letter, which stated the City will be in violation of the Ex Post Facto Clause and Equal Protection Clause and a Taking by Eminent Domain. Las Vegas Tribune has maintained for a very long time that Councilwoman Lois Tarkanian and Councilman Bob Coffin are two arrogant city officials who have the corrupt attitude of “What’s in it for me?” — which may remind many of the sequence in the Godfather movie where the Nevada Senator tells Michael Corleone that he needs help to “take his wife on a vacation trip,” hoping for a cash gift that he never had. During a telephone conversation with Las Vegas Tribune just last week, a Code Enforcement Officer by the name of Laurie stated that the “mechanic” showed her the title to all the cars parked on the same block where a short-term rental was recently denied. The “mechanic,” who seems to be unemployed and always home, is able to buy so many cars — most likely to resell them later — without showing the monetary transaction, thereby cheating the city coffers, the city business license department and the Internal Revenue Service. 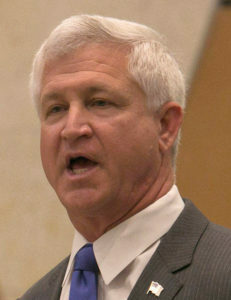 Bob Coffin corrupt and useless city officials. Two letters written to Mayor Carolyn Goodman asking for her position on a veteran newsman being thrown out of a public office and even banning him from future entrance in his capacity of gathering news for publication were never answered or acknowledged, giving the impression that she is not informed of what happens in city hall when she is not there, or that her letters may have been hacked. Previous story For Kavanaugh, waiting soon be over: How many politicians are shaking in their boots?